What to I need to know about Cold Laser Therapy? The Cold Laser Therapy is a noninvasive procedure that uses light to stimulate cells and increase blood circulation. At the correct laser wavelength, pain signals are reduced and nerve sensitivity decreases. The procedure also releases endorphins, or natural painkillers. The procedure is based on the idea that light is absorbed into the cells. The process, known as photobiotherapy, stimulates protein synthesis and cell metabolism, which improves cell health and functionality. As the laser is administered, often pets will relax and enjoy, much like you would experiencing a good massage. The almost immediate relief of pain will allow your pet to be comfortable and any anxiety that your pet initially experienced will dissipate. Occasionally, cats will start to purr and dogs will fall asleep during their therapy session. Is there anything my pet should or shouldn’t do while on the treatment? You should not overdo any activities after a treatment nor do you need to be overly cautious. The doctor will advise to any special orders. You might see a change in activity when your pet comes home. For some it might be increased activity and other may be more relaxed. Each pet is different and treatments are unique for your pet’s specific needs and conditions. You may see relief in the first treatment or so as pain and inflammation are reduced. For some conditions, a series of treatments may be necessary before you see results due to the severity or complexity of the condition. 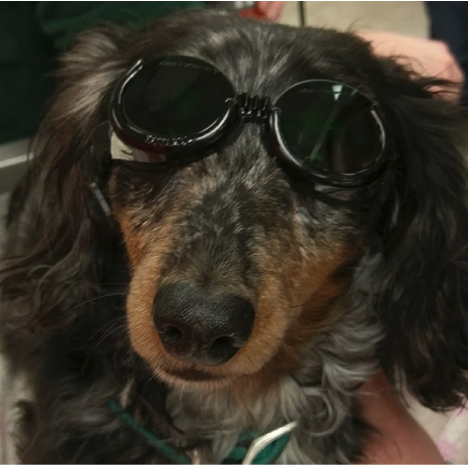 Please call us today at (847)669-5888 to make an appointment and discuss if laser therapy can help your pet!